The Furniture Re-Use Store can be found on Level 0 of C7A (the old Library Building). Entry is via the breezeway under the building. Follow the stairs which lead down under the building from Wally's Walk, near the coffee cart, and we are the first door on the left. 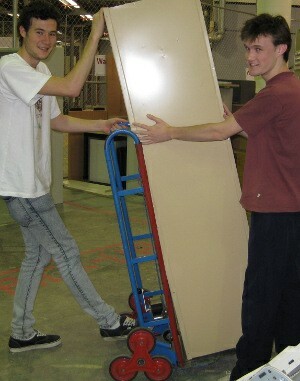 Welcome to the Macquarie University furniture re-use scheme. As part of our commitment to sustainability, we have set up this scheme which allows us to re-use office furniture wherever possible across campus. Need a bigger bookcase for your office? Or another filing cabinet? Or perhaps a visitor's chair? Macquarie staff can access the online catalogue and request an item from our store. We will do our best to act promptly and efficiently to get your furniture to you as soon as possible. However, this system has been set up using existing resources and has no dedicated staff members, so please be patient. To find an item, simply scroll through our online catalogue. Once you’ve browsed the catalogue, all you need to do to request an item is simply fill in the online request form. Have an item that needs a new home? If you have excess furniture that can be re-used, then just fill in an online customer service request form and we will organise to get it picked up from you. It is the responsibility of Faculty or Office to remove the item(s) being disposed of from the Assets Register. See the Assets Disposal Policy for details. Items going into the furniture store become part of the general pool, ie, you will lose ownership of it. We are not a storage facility.